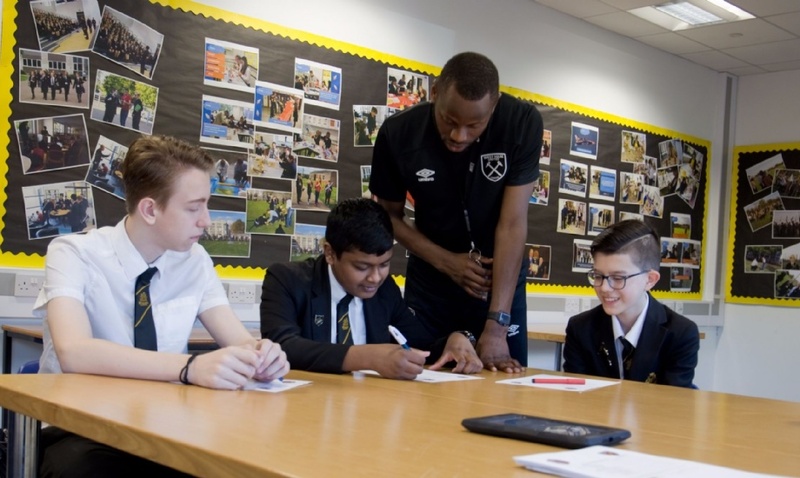 The Basildon Academies has become the first secondary school in the country to have students participate in a mentoring programme run by West Ham United's principal charity, the Moore Family Foundation. Since its inception 3 years ago, the Foundation has been engaging thousands of pupils from primary schools across East London and Essex. Part of the development plan is to reach out to secondary school students, with the Lower Academy becoming the first to benefit from this initiative. The main objectives of the programme are to help give students the best possible opportunity to fulfil their potential, raise their self-confidence and increase resilience. Another student who has benefited from the programme is Ruhul Miah; “Taking part in the Moore Family Foundation programme is developing my social skills and building up my confidence ready for the business and workplace environment. It’s helping me achieve my aspirations. Click here for more information about the Moore Family Foundation.